(Nanowerk News) The project INN-BALANCE has been officially launched on 21st of February 2017 at AYESA headquarters in Sevilla, proposing an ambitious work plan on “INNovative Cost Improvements for BALANCE of Plant Components of Automotive PEMFC Systems”. The project targets at developing a new generation of highly efficient fuel cell systems by improving industrialization-ready designs of Balance of Plant (BoP) and fuel cell system components, the major goal being to reduce costs of current market products. INN-BALANCE is co-funded by the European Commission with nearly 5 M€ in the framework of the European Research and Innovation Programme Horizon 2020. The consortium is composed of major automotive companies, consulting groups, research institutes and universities out of 5 European countries. During the project’s 36 month each partner will bring in its expertise in developing and testing innovative solutions for fuel cell BoP components. Moreover, the project will also serve to improve and tailor development tools for integrating and testing novel components in fuel cell based vehicles. “Balance of plant components that are integrated in automotive fuel cell systems today still need refinement, in particular with regard to their integration and interaction within the system, and their manufacturing costs. INN-BALANCE therefore seeks to develop improved, well-adjusted and cost-effective BoP components that will make future fuel cell based vehicles run more efficiently. The targeted reduction of costs for BoP components will contribute to hydrogen-based mobility gaining momentum in Europe and beyond,” states Dr. Alicia Arce from Fundación Ayesa, who coordinates the project. 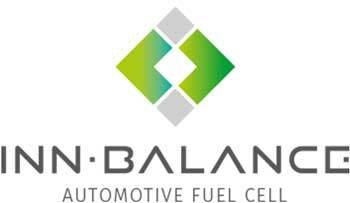 INN-BALANCE innovations will address the latest changes and trends in fuel cells vehicles technology, from new compressor and advanced control and diagnosis devices to e.g. new concepts of thermal management. The testing of vehicle integration and validation of the components will ensure high technological readiness and pave the way for further market exploitation. Thus INN-BALANCE will not only deliver new insights into technical aspects of BoP components development, but will also help bringing fuel cell commercialization in automotive applications to a whole new level. INN-BALANCE receives funding of 5M Euro from the Fuel cell and Hydrogen 2 Joint Undertaking in the framework of Horizon 2020 and is coordinated by Fundación Ayesa, Spain. The Steinbeis 2i GmbH is responsible for the project communication activities, including the dissemination and exploitation of results. INN-BALANCE is coordinated by Fundacion Ayesa in cooperation with 8 partners: Brose Fahrzeugteile GmbH & Co. Kommanditgesellschaft; AVL List GmbH; Volvo Personvagnar AB; Powercell Sweden AB; Deutsches Zentrum fuer Luft- und Raumfahrt e.V. (German Aerospace Center); Universitat Politecnica de Catalunya; Steinbeis 2i GmbH and Celeroton AG. This project has received funding from the Fuel Cells and Hydrogen 2 Joint Undertaking under grant agreement No 735969. This Joint Undertaking receives support from the European Union’s Horizon 2020 research and innovation programme and Hydrogen Europe and N.ERGHY.